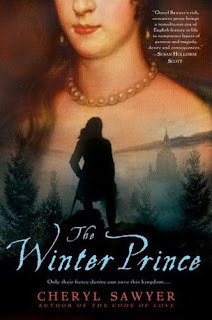 As a 17th Century enthusiast and having just written my third book on the era, I was very excited to read this novel of Mary Villiers, the only daughter of Charles I’s assassinated favourite Duke of Buckingham has been treated like a Royal child all her life. Rich, beautiful and spoiled, Mary is destined to make marriages of state, and at twenty her second husband is James Stuart, Duke of Richmond. A staunch royalist, Mary toys with treason by visiting Lord Essex and tells him she disagrees with King Charles’ actions in declaring war on his Parliament and giving up London at the beginning of the English Civil War. Mary met Prince Rupert when she was younger and doesn’t appear to have been very impressed with the arrogant young nephew of King Charles. When they meet again, she reminds him that she teases everyone, but their attraction is mutual and devastating. Mary is a loyal and dutiful wife, and thus she agrees to be Rupert’s friend, when he would like to take their liaison much further. The war takes Rupert off into dangerous territory, leaving Mary to fret and worry about the man she admits only to herself she is in love with. Our hero and heroine can only meet every few months, and largely at the exiled Court in Oxford or on Queen Henrietta’s forays into Europe in search of funds and support for her husband’s cause. This leaves the lovelorn Rupert and guilt-ridden Mary to endure heartfelt looks and regretful sighs and the ‘will they won’t they’ which gets tedious after a while. To the author’s credit, Rupert and Mary’s love affair was mostly gossip and speculation at the time, so to give them a happy ending was out of the question. Mary and Rupert are doomed to show their affection in cryptic ways, like when Rupert sends her a book of poems with pinpricks in the pages to show her which lines he wants her to read, or contrived meetings – like their ‘accidental’ tryst in a secret tunnel beneath Merton College which had been undiscovered for two hundred years. Cheryl Sawyer is an accomplished writer and she delves into the minds of her characters in fluid, emotive prose that fits the 1640’s beautifully. Her in-depth accounts of the conflicts, the victories, private ambitions and characters of the players is exemplary. She portrays the King and Queen faithfully, as proud, vain, egomaniacs without the intellectual capacity to realise that some compromise would have saved them. The casual dismissal of their subject’s lives to obtain their own ambitions is staggering, but plays excellently into the ‘Divine Right of Kings’ philosophy that was Charles I’s downfall. For anyone interested in the English Civil Wars, this is a fabulous account, but I also feel Ms Sawyer has benefitted Mary with all the virtues and none of the faults of a girl raised as a princess. This novel also gives rise to the question, ’How much history should an historical novel contain?’ In this case too much as I felt the military accounts were more like a textbook in places and in order to stick to facts, Rupert and Mary’s ‘affair’ was tenuous and there wasn’t much to work with.